Hotel Chocolat, luxury and quality are what springs to mind. Special occasions, gifting and divine indulgence are what I associate this British brand with. 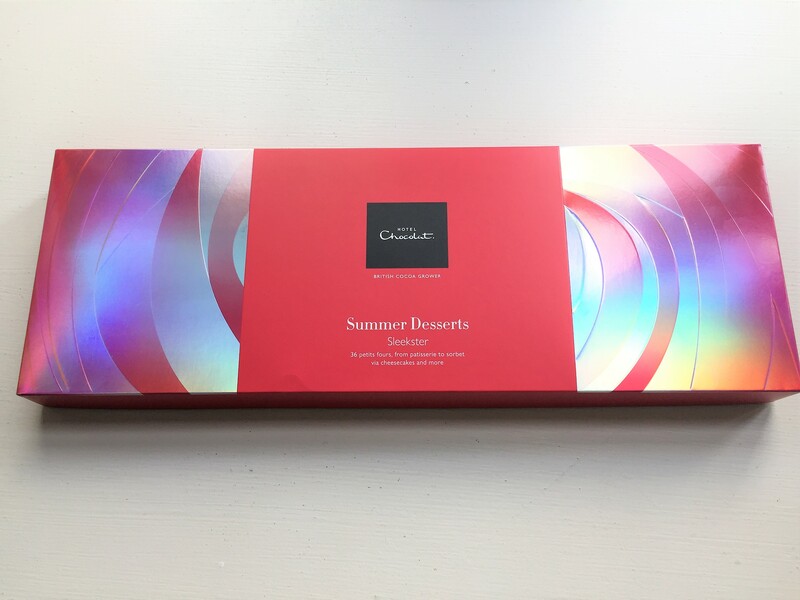 Now that Summer is in full swing what better way to indulge in a box of Summer Desserts! 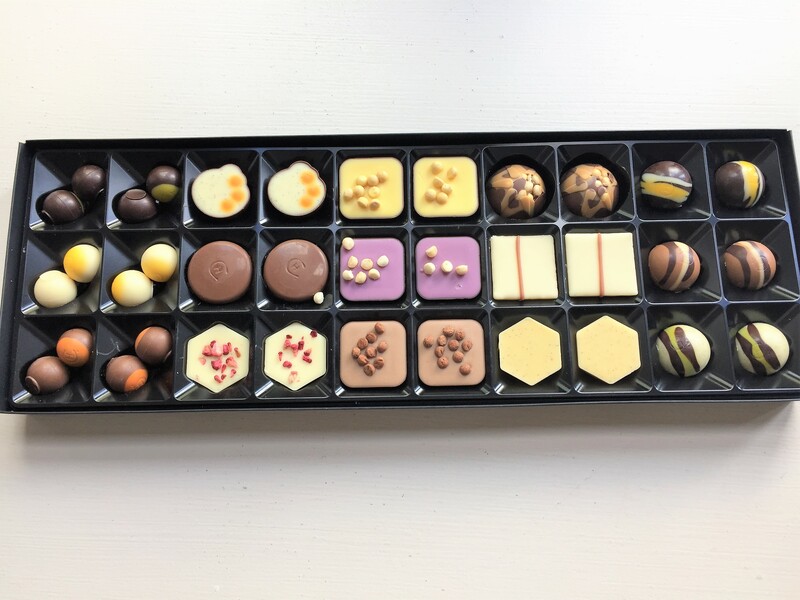 This sumptuous selection of 36 chocolate petits fours takes you from patisserie to sorbet, cheesecakes and more. ( Mojito is my favourite )This makes for the perfect gift for Summer weddings, garden and dinner parties alike. The bright and colourful packaging is sleek, modern and trendy and eliminates the need for extra gift wrapping. Result! If you are anything like me, finding gift giving arduous, then this is ideal. 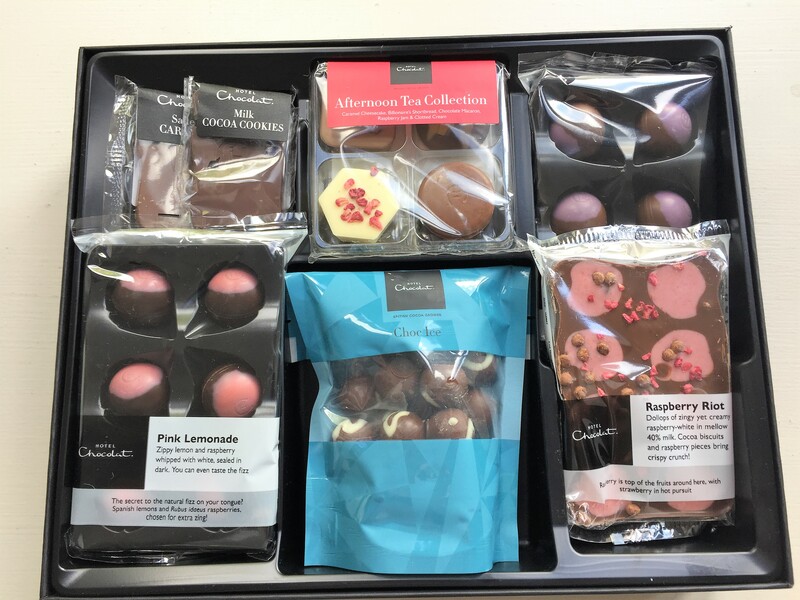 Sticking with the theme of The Great British Summer let me introduce you to The Little Ray Of Sunshine Hamper complete with an Afternoon Tea Collection, Ice cream and choc ice all adapted into chocolate versions. Delight in the joys of the Raspberry Riot Slab with zingy raspberry-white chocolate enveloped with 40% delicious milk chocolate and sprinkled with crunchy cocoa and raspberry pieces what’s not to love?! Serve your choc ice chilled for an authentic ice cream taste. 50% milk chocolate with swirls of vanilla white chocolate delight the senses. 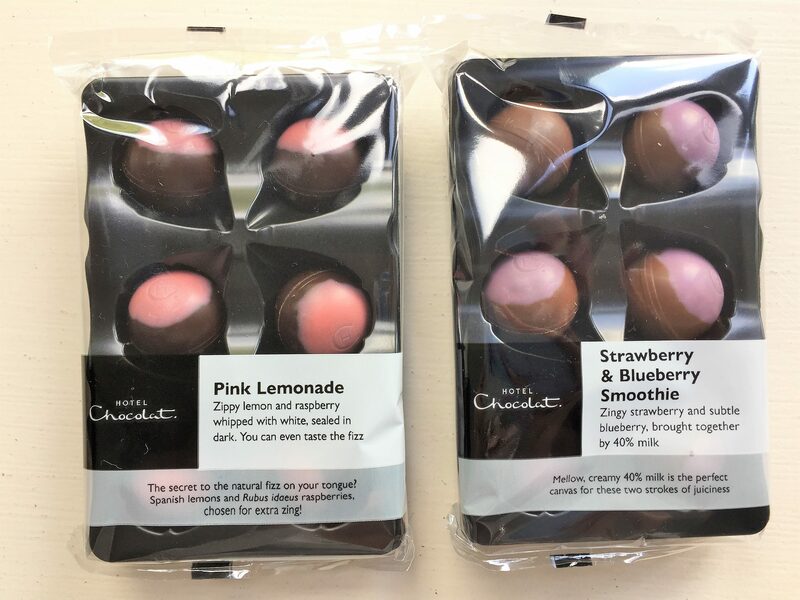 Pink Lemonade with whipped white raspberry encapsulated in dark chocolate brings a sophisticated twist to this ultimate Summer favourite. I happen to be nibbling away at these as we speak! They are glorious! I really appreciate the innovative design and taste of each and every chocolate, I have yet to taste one I did not like. 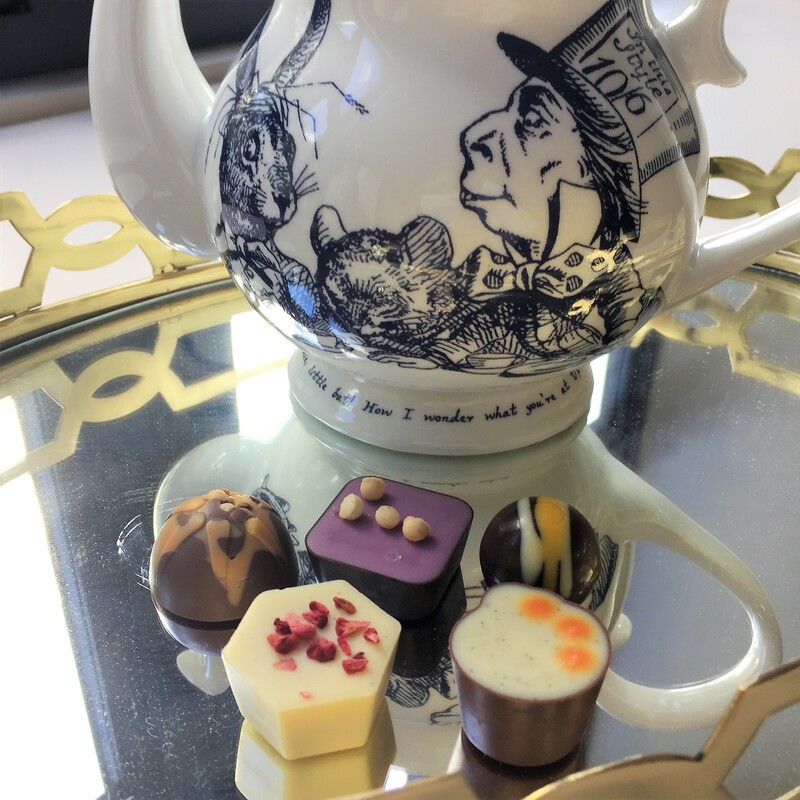 So whether you are going for a family picnic or day at the races why not bring along something fun and unique from Hotel Chocolat.Your gesture will be greatly received by all. Yummy in my tummy! Share the love!